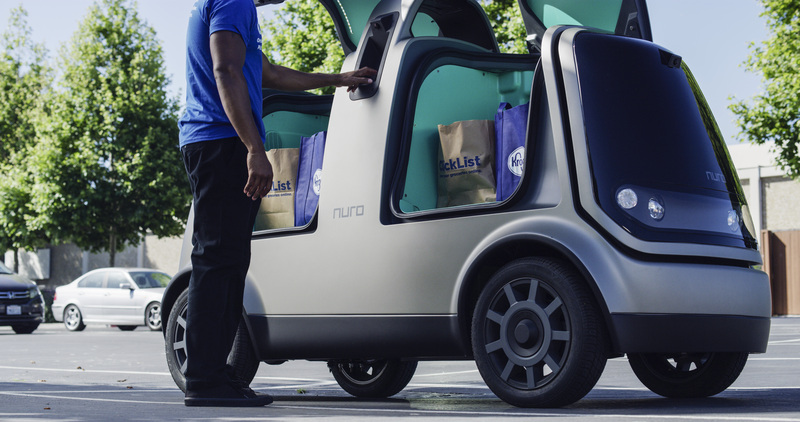 Nuro, an autonomous vehicle startup focused on local deliveries, has partnered with 135-year-old grocery retailer Kroger to offer same-day deliveries. The two have yet to announce which market this will be live in, but the plan is to launch the several-month-long pilot this fall. When it came to going to market, Nuro co-founder and President Dave Ferguson told me groceries were most exciting to him. And Kroger particularly stood out because of its smart shelf technology and partnership with Ocado around automated fulfillment centers. The pilot will be live in just one market, but Kroger has 2,800 stores nationwide, so Nuro sees the partnership as an opportunity to reach the vast majority of America. Kroger already offers same-day delivery to 75 percent of its customers. With Nuro on board, the idea is to deploy the self-driving cars in areas where Kroger has yet to offer delivery services. “We want to be available to every single customer of ours,” Kroger Chief Digital Officer Yael Cosset told TechCrunch. On the customer side, the experience will surely be different from what they’re used to. Currently, Kroger customers expect the grocery delivery drivers to bring their items to their front door. With Nuro’s vehicles, they’ll only go as far as curbside. Cosset went on to describe how he doesn’t see the current model for delivery and autonomous vehicle-powered delivery as mutually exclusive. Down the road, Nuro will continue looking at additional partners for its local delivery ambitions. Although Nuro is excited about the partnership with Kroger, it’s not an exclusive one. Other potential partners for Nuro may include those like local dry cleaners, bakeries and florists.